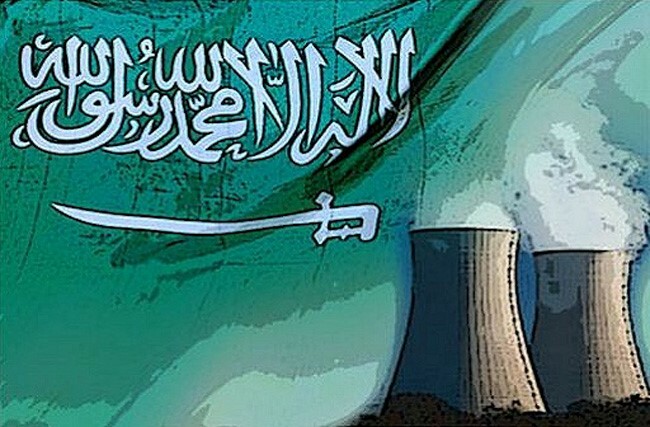 Saudi Flag & Nuclear Reactors. 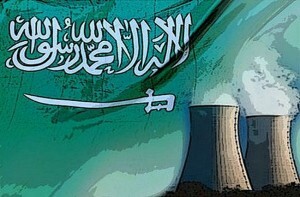 Following the July 14, 2015 announcement in Vienna of the Iran-P5+1 Joint Comprehensive Plan of Action, the Saudi press featured numerous articles openly calling for Saudi Arabia and the Gulf states to use the coming decade – the time frame of the JCPOA – to develop their own military nuclear program, against the nuclear threat that they say Iran will constitute after the agreement expires. Dr. Hashem ‘Abdu Hashem, columnist for the official Saudi daily Al-Riyadh, called on the Gulf states and Arab countries to work on two fronts – the military front, that is, immediately launching a nuclear arms race, and the diplomatic front, that is, beginning a dialogue with the superpowers and taking advantage of the prevailing atmosphere of economic interests overriding security interests. In his column, titled “There Is No Alternative To The Option Of A Nuclear Arms Race,” he wrote: “… The situation is dangerous – very dangerous – and the need to operate on all levels is increasing. There is a need for direct and transparent dialogue with the P5+1 and for working to bolster our self [defense] capabilities as a country, as a single Gulf entity, and as a homogenous Arab group that senses the same threat, thinks alike, and seeks the best guarantees for stability in its lands and for dealing jointly with this new reality. “Just as Iran has opened the [nuclear] door wide, we must not delay in breaking [the nuclear door] down, with all necessary speed. We must benefit from the [current] international willingness to prioritize economic interests above existing security issues. “We are facing a new reality, with no room for tiptoeing around the arms race issue. The countries of the region must confer on how best to cooperate and coordinate on this vital issue, now that it has become the preferred option. See MEMRI Special Dispatch No. 5502, Former Saudi Ambassador To Washington Turki Al-Faisal: If Iran Acquires Nuclear Weapons, The GCC Should Consider Acquiring A ‘Nuclear Deterrent’ Of Its Own; ‘The Shameful Way That The World Community Accepts The Impunity Of The Butcher Of Syria Is A Blot On The Conscience Of The World’, October 28, 2013.